After salivating over the array of supper clubs in East London for the last two years on my best friend Twitter, I finally chose one ten minutes walk from our flat, Leluu & Blyde. It really excited me the mix of Vietnamese and classic British flavours from the partnership of Uyen Luu, who has been hosting her very own Vietnamese inspired supper clubs for two years and food journalist, sommelier and now chef, Douglas Blyde. Douglas and I shared a few amusing emails as we’d requested no red meat and he came back with a bone marrow salad as a alternative to steak tartare which made me giggle. 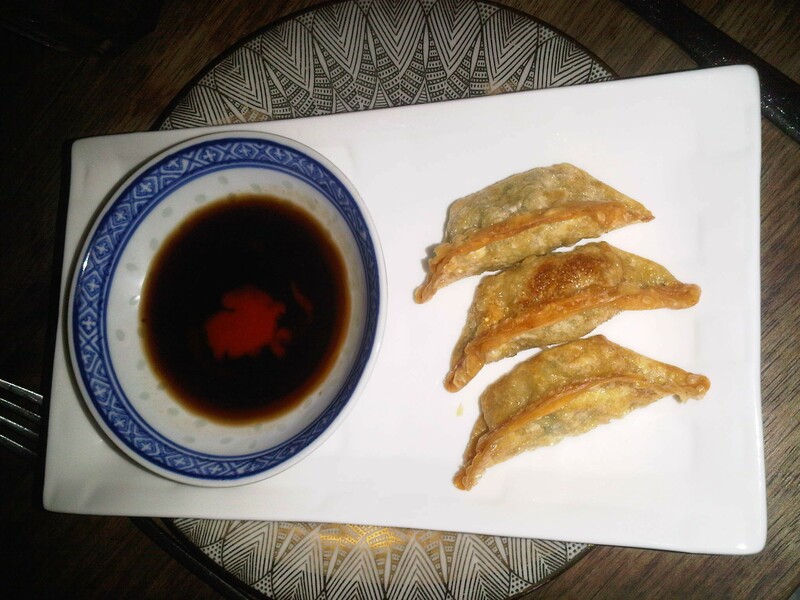 We ended up with some succulent veggie gyozas which did the trick! Last night we turned up to a very welcoming flat with three tables all set delicately with vintage china and a large ice bucket for our booze. It was BYO, as all supper clubs should be. We mingled with the other first timers and all shared our love of food, many working full time in the food industry. We were then seated ready for our eleven whole courses to begin. First up was a very homemade strained vine tomato Bloody Mary with basil which was refreshing and subtle, not like a Bloody Mary. 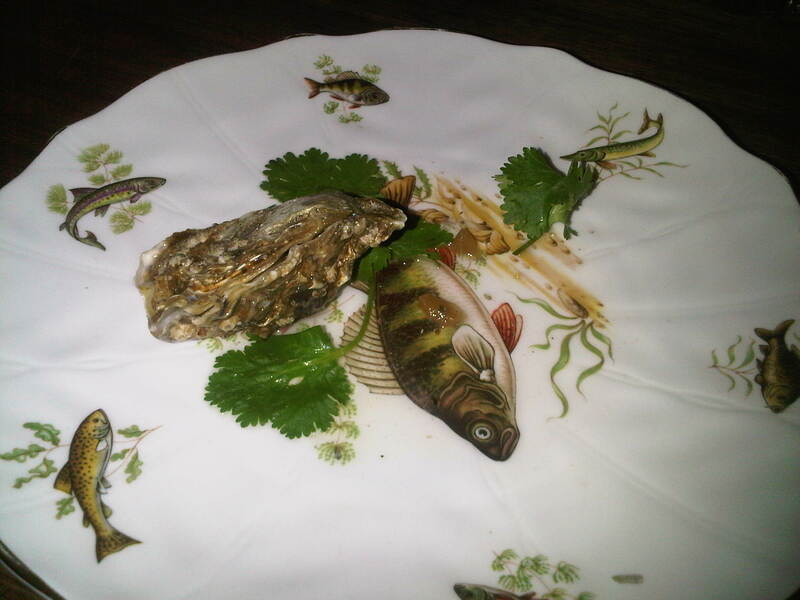 Next up was an oyster filled with seaweed, sesame and stinging nettle jelly. 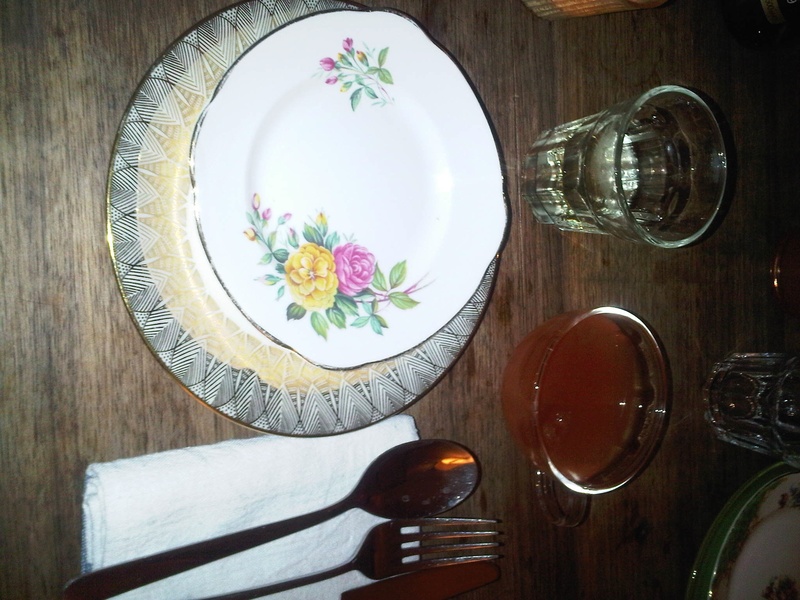 Plates of immaculate morsels just kept coming and were beautifully described when served. 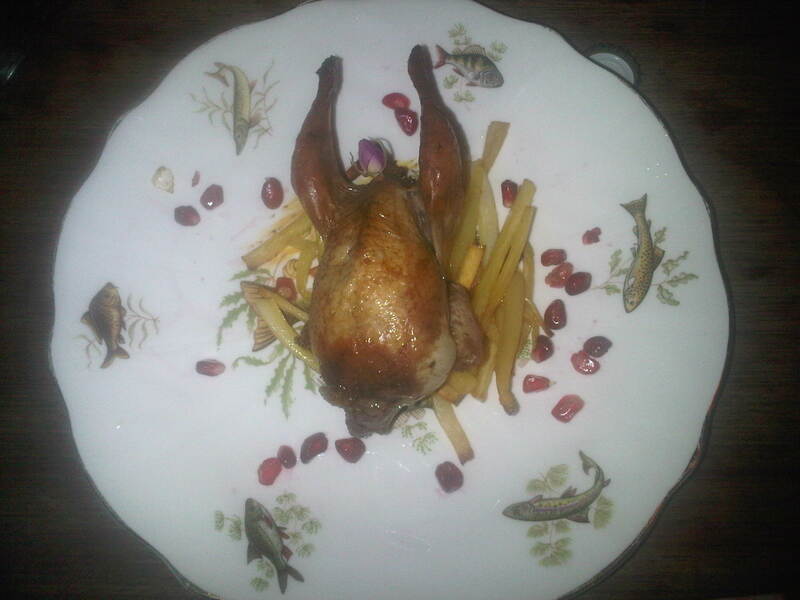 My highlights were the delicate not so Bloody Mary, the pea soup with white truffle croutons and the quail bathed in rose water on a festive nest of roasted parsnips and pink pomegranate seeds. Enjoy the pictures below, although they were taken on my rather crappy blackberry. The full menu is here for you to admire. Most of the ingredients are sourced locally and from sustainable supply chains. The donation to the cooks and hosts is £35+ per person. 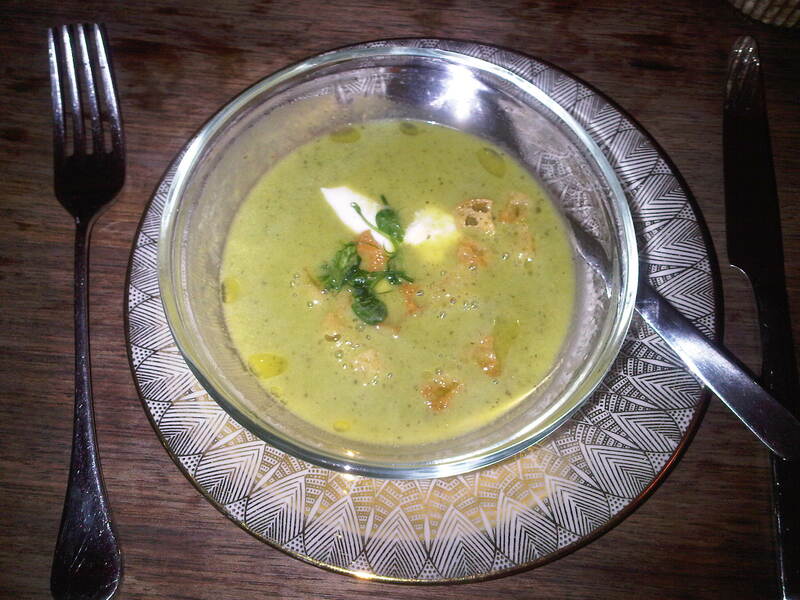 Don’t hold back, it’s time to book that supper club.